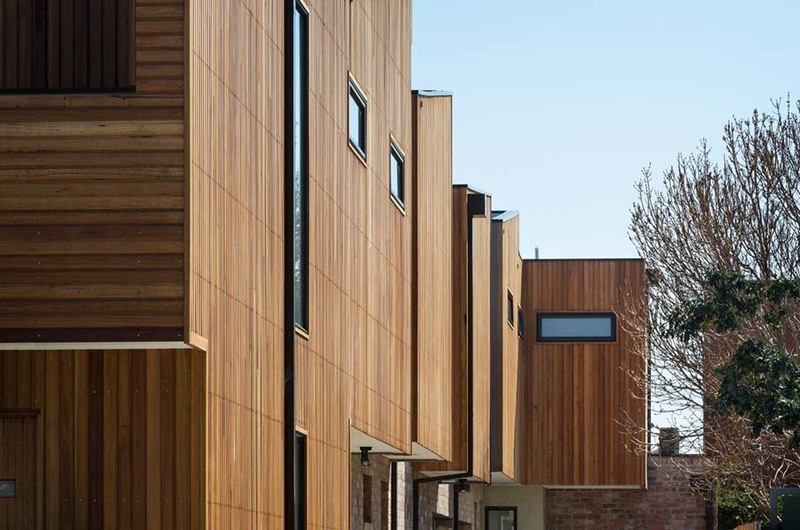 3 x 3 bedroom townhouses development on a 450m2 suburban block in Brunswick. 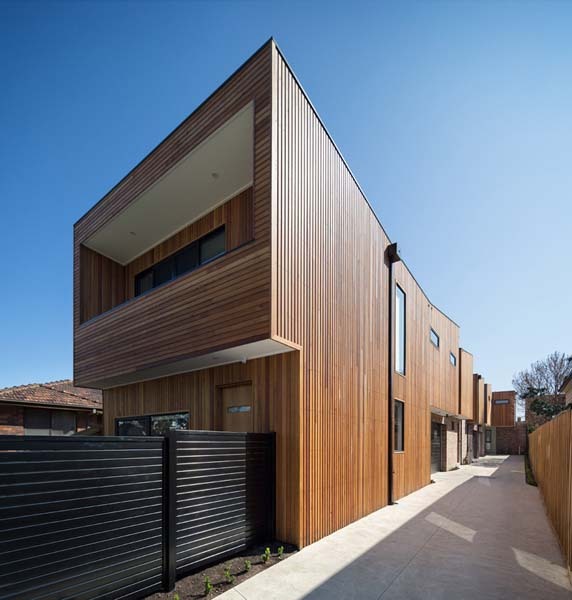 Planning was obtained in 4 months without any objections. 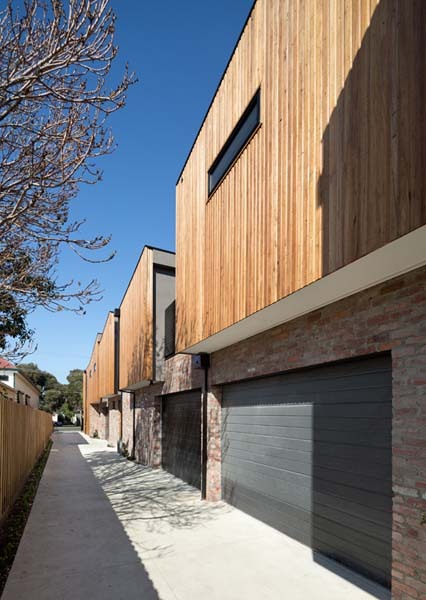 The design creates a distinct identity for each townhouses by raking the units to the north to maximise solar access. 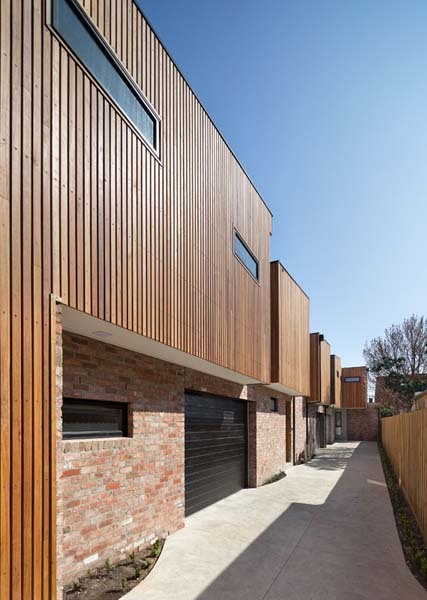 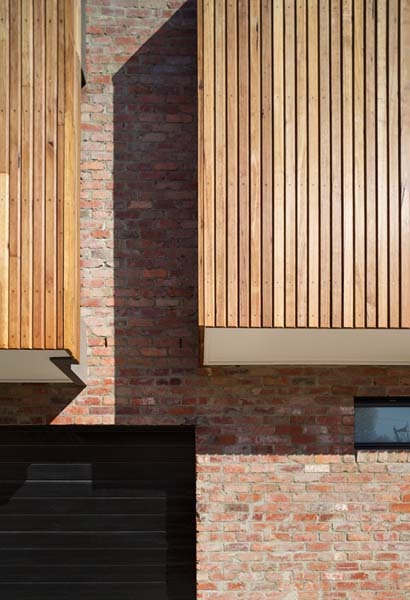 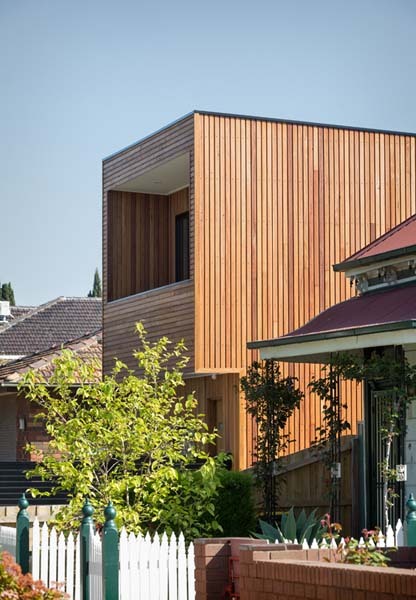 The townhouses are clad in timber to provide material quality.